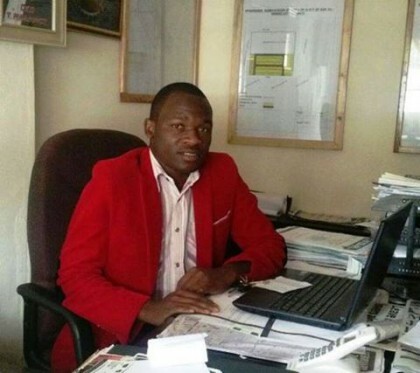 Little-known Gweru property development concern Tinshel Properties became the talk of the industry at the recent Zimbabwe National Chamber of Commerce annual general meeting (AGM) after its 29-year-old owner, Mr Tinashe Manzungu,in picture, was crowned the National Businessman of the Year (2014). This completed a hat-trick of awards in June alone after he was also crowned the ZNCC Businessman of the Year (2014) SMEs category Midlands and Zimbabwe Chamber of SMEs Businessperson of the Year (2014). Last year, the youthful entrepreneur was again awarded the Businessman of the Year-Midlands and the Gweru City Council' s Best service provider in the construction sector award (2013). But as awards continue to roll in, so too does the fortune. Barely three years after the business was established, it now sits on a asset base that is more than US$23 million in value, which is more than the market capitalisation of some lower-tier companies listed on the Zimbabwe Stock Exchange (ZSE). It is forecast that the business will grow to US$100 million in the medium term. There has been a boom in the property sector in the last five years as pent-up demand ” occasioned by more than a decade of sanctions from the United States of America and the European Union bloc ” has driven demand. Government has also availed a lot of land for development especially from peri-urban farms that were acquired during the land reform programme. Investors are increasingly channelling their portfolios to the property in order to hedge their investments and guarantee a reasonable return. Both the money market and the stock exchange has been underperforming. Construction work is currently taking place in almost all parts of the country buoyed the stable United States dollar adopted in 2009. The sector, feeding off 1,25 million people that are on the national housing waiting list, has been rewarding. And Tinshel Properties, formed by Mr Manzungu and Ms Shelter Ndebele in June 2012, has naturally capitalised. It angles mainly for low-income home seekers. The company has managed to make a significant breakthrough because it does not charge interest. "The new economy has become informal and this is the sector that we are targeting because it cannot be catered for by many because of lack of adequate resources, in particular collateral. "With us, in most cases we build houses for people and they can pay later," said Mr Manzungu. For instance, for residential stands going for US$5 000, potential beneficiaries are allowed to make a deposit of US$1 000 and pay the balance over 40 months. Alternatively, home-seekers are also allowed to pay US$100 instalments over a five-year period. In addition, land development, the construction of superstructures, including the supply of materials such as pit sand, three-quarter stones, brick moulding, quarry stones, river sand and the fabrication department has helped drive the business. Added Mr Manzungu: "This means we are contributing significantly to employment creation. We have highly qualified people at each station including qualified civil engineers who do road construction and sewer reticulation. All our jobs are done under the supervision of local authorities. "We also have other arms of Government involved such as the Environmental Management Agency (EMA), the Zimbabwe Revenue Authority and various other ministries such as Local Government and Lands. In order to minimise conflict associated with land ownership, the property concern deliberately targets private land so that it processes properties that have title deeds. In Gweru, the developer has a number of projects which are at various stages of completion. Three projects that have a total of 5000 stands have been completed and some of the beneficiaries are building houses while others have already completed construction. Five other projects are also at different stages of completion. "We also have one project where we are constructing 50 cluster houses. Each house has seven rooms and this project is 90 percent complete. We also have one mega project to be commissioned in September which has more than 3000 stands. All these projects are in Gweru. In Kwekwe, we have stands in a low density area and in Kadoma we have more than 800 high density stands. We are looking forward to opening a new branch in Lupane where we intend to construct hostels for Lupane State University beginning August this year," said Mr Manzungu. Unlike the model used by some property developers, the company has been able to avail serviced stands before home seekers pay for them. But it is believed that there is need to rein in unscrupulous housing cooperatives and property developers. Mortgages remain elusive to the majority of local home seekers as their terms are considered to be more than what the ordinary local home seekers can afford.